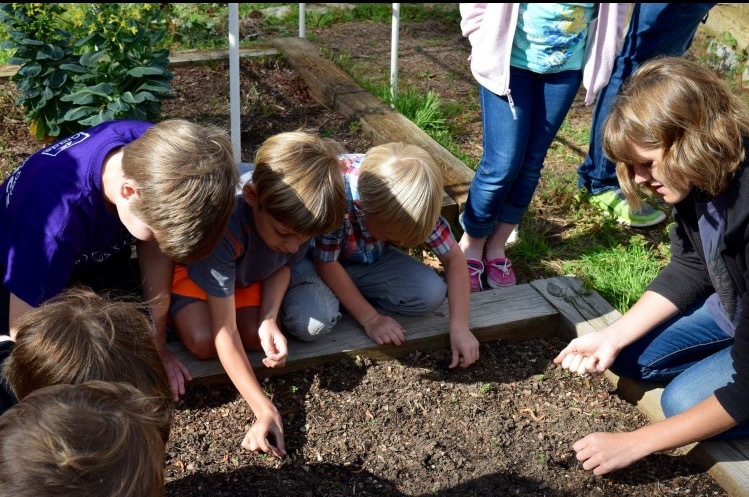 The Berry College Elementary and Middle School has partnered with the ABC Project to allow college students interested in environmental studies help educate a younger generation on the importance of heirloom seed preservation and share a love for things that grow. Teachers at Berry Elementary and Middle contact Dr. Campbell and/or Environmental Studies students connected with the ABC Project when they begin discussing plant biology, farming, Native Peoples studies or other such subjects with their classes. ABC project students conduct planting workshops with the elementary school students discussing the history of the varieties they are planting — such as how the Plumgranny Melon was given as a gift by boys in mountains of Southern Appalachia to girls they wanted to court –, why certain varieties are planted at a certain time, and how one would harvest those crops and save the seeds at a later time. 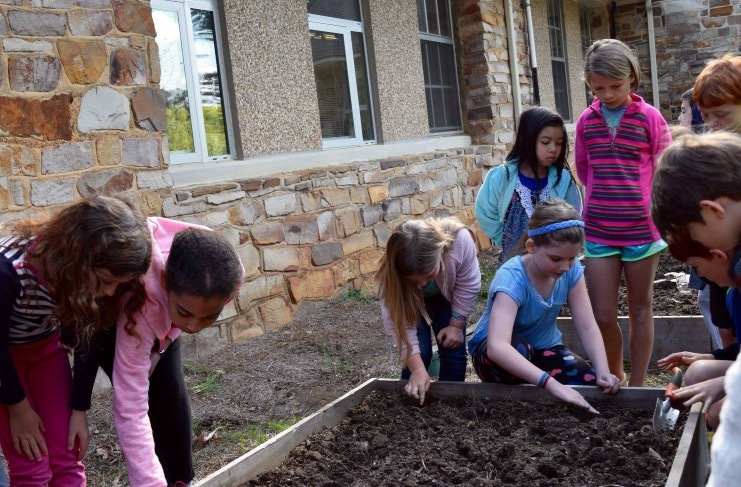 The addition of an orchard to the Berry Elementary and Middle School campus in Spring of 2016, courtesy of the Berry College Mountain Grounds crew, allows more space for the ABC Project to expand education of a younger generation. Growing in the orchard are varieties of apple trees as well as blueberry bushes. 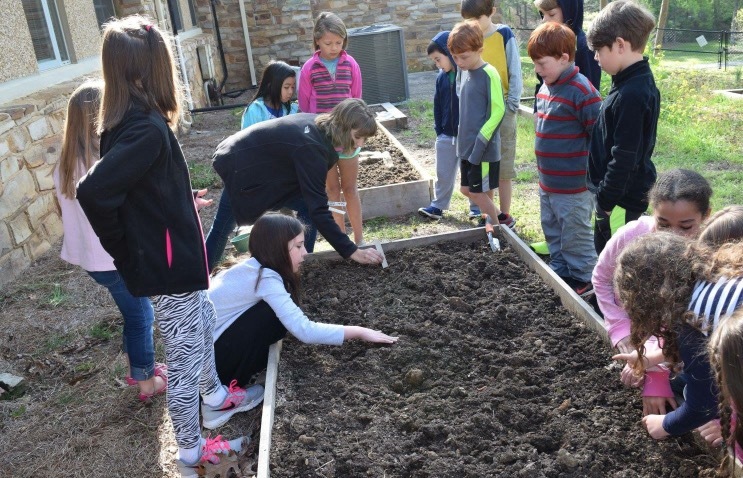 In the fall of 2016, Environmental Studies students will help to construct raised beds between the rows of trees for heirloom seed planting and maintenance with the elementary and middle school students and teachers. A small amphitheater will also be constructed for lectures on gardening and heirloom seed preservation. ABC Project student Tessa Howard conducting a planting workshop with 1st and 4th grade classes. 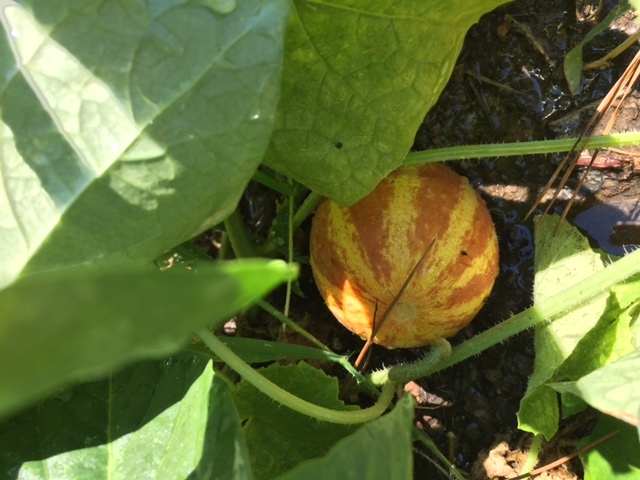 A Moon and Stars Watermelon (Citrullus lanatus), a traditional Cherokee variety of watermelon. 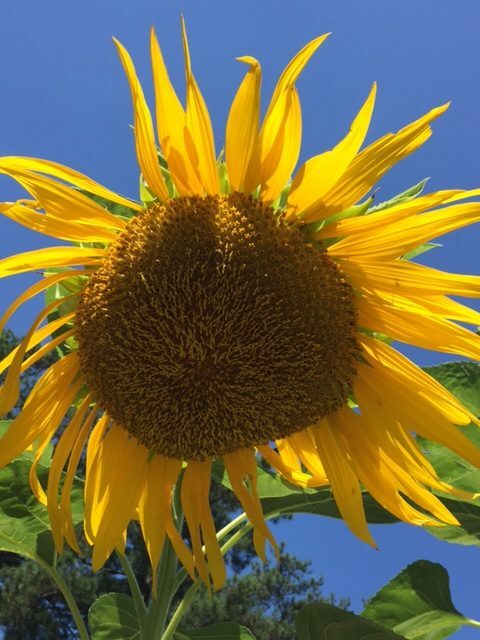 A sunflower blooming in the summer. 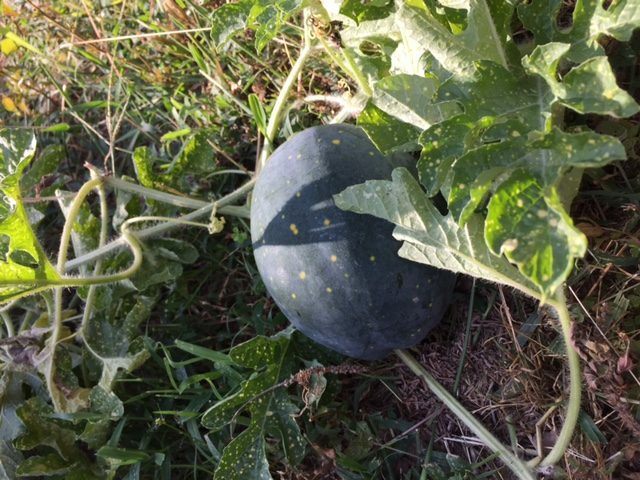 A ripe Plumgranny Melon, an heirloom melon variety grown in Southern Appalachia and the Ozarks.